Increased collaboration is essential for companies to optimise their produce development processes. Creo Direct, part of the Creo app family, enables access to essential design data across a company. 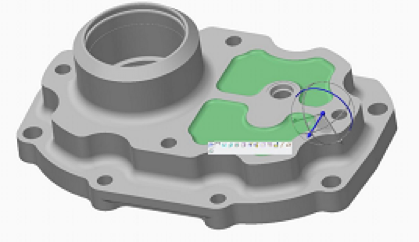 For producing and amending 3D designs, Creo Direct is a quick and simple solution, particularly for those moving from 2D to 3D CAD. Creo CAD Direct provides increased flexibility to design, alter and modify 3D geometry, whether you are an experience professional or casual user. It has the potential to build new concept designs. Also, with Creo Direct, adapt design models to streamline them for downstream processes, for example tooling design or product simulation.